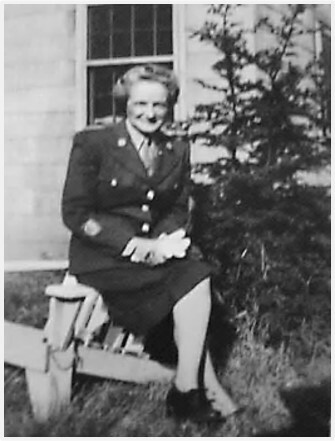 Previous PostPapa’s Favorite Cookies (Old-fashioned Sour Cream Cookies)Next PostWhy Did Women Join the WACs During WWII? I’m always amazed at how much older people look in old photos than they would have looked at the same age today. A sixty-nine year old today would look much younger. And sixty-nine is such a young age to pass away. You did say she had been in poor health though. Maybe it’s that they didn’t use hair dye. I have a vague memory that some celebrity said that hair dye is the secret to aging gracefully. Haha! My son asked me over the holidays when I was going to stop putting color in my hair. I said never! Tead my post today. I thought of you when I wrote it. I just visited your site and am glad that I inspired you to write that post. It was so much fun to read about your family’s experiences in Alaska. You had the most incredible childhood adventure. I love the typo in the newspaper article: their “olden” anniversary, rather than “golden.” It’s great that they used a photo from that occasion. I’m glad you caught that. I noticed it too, and thought that it was one of the best parts of the article. I caught the typo too! I like the photo too. 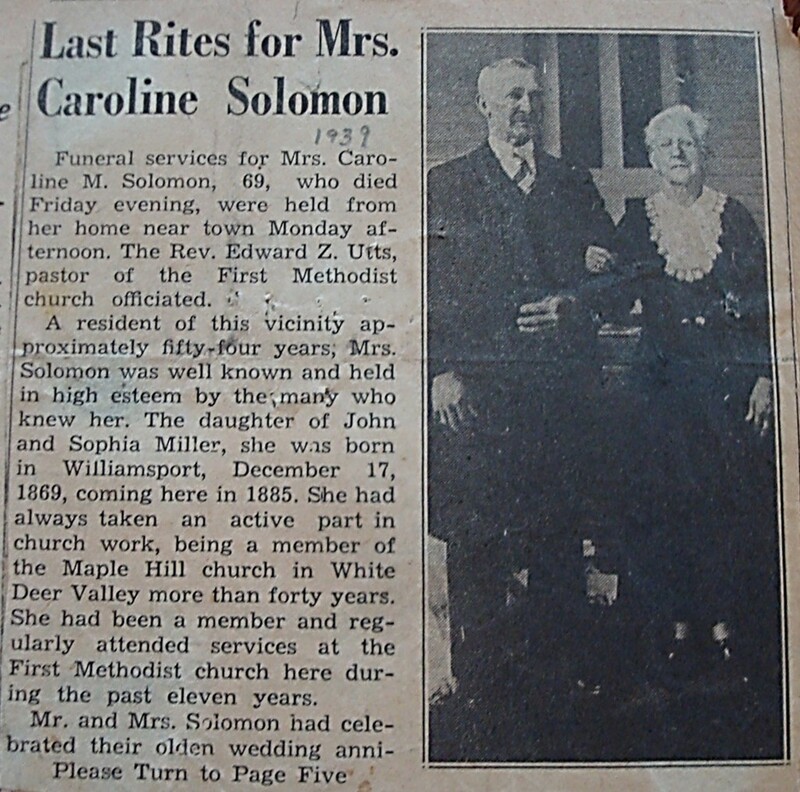 I notice the article does not listed the surviving family members. Was that common in those days or did you crop it out for privacy? I’m not sure what was common practice. 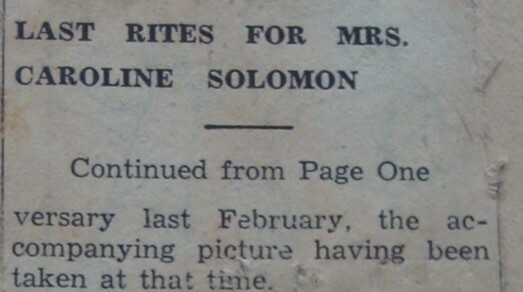 My general sense is that the content of obituaries varied widely back then–and that there wasn’t a standard “template” like often seems to be the case now. It never ceases to amaze me how different folks age now-a-days. It’s sad to realize the difference of lifespans back then and how young so many of them was when they passed on. Some things have definitely changed for the better over the years. Sheryl, isn’t it interesting how the whole issue of caring for parents is so universal and spans history. This kind of post really brings that home. You’re absolutely right. How people tend to fulfill that role has changed over the course of time, but caring for aging parents is universal and spans history. Your blog has been a such a wonderful resource for those of us who have lost elderly parents. We don’t seem to hear of adult children staying home to care for their parents like Marian did–I think it was much more common in years gone by. I remember friends of my grandmother’s, “maiden ladies,” who never married, lived in the family home their whole lives, and the focus of their lives was caring for their parents. Do you know anyone who does that now? I also think that it was much more common in years gone by. I know a few people now who were in transition as their parents aged and returned home to manage their care, but I think it’s very rare now for a daughter to never leave.